What does a modern-day warrior look like? Does being a warrior have anything to do with meditation? And when was the last time you heard a professional boxer talking about compassion for his opponent, much less himself? These were some of the questions on my mind when I interviewed a professional boxer and former olympian. 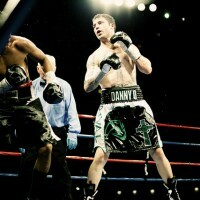 Enter Danny O’Connor, an Irishman from Framingham, Massachusetts who is blossoming into a Bodhisattva of professional boxing. Against the odds, Danny discovered meditation. He began practicing it to improve his performance in the ring. However, he quickly realized there was more to this ancient art than he understood. Meditation was changing him on a deeper level. In many ways, the depth of that change is just starting to reveal itself. In this interview, we explore the powerful role that meditation plays in Danny’s professional training and in his life. In the East, there is an ancient and storied tradition where meditation and the ideal of the warrior fit hand in glove. Think of Tai-chi, Kung-fu, Qigong, and other martial arts which include meditation as a baseline of training. To master the body, they suggest, we must first master our own minds. Teachers from the East have long understood that the enemy within is often much more formidable than the enemy standing in front of us. The Buddhist-based Shaolin monks, Bruce Lee, and other popular martial arts icons have helped to popularize that idea in the West. Growing up, I was captivated by movies like Revenge of the Ninja and anything that had to do with martial arts. I even took Taekwondo for a few years. During my time at Yu’s Academy of Taekwondo, Master Yu would wedge an awkward period of silence in the middle of Taekwondo training. He made us sit still in perfect silence for 20 minutes. I was ten years old at the time, so I considered this a uniquely pure and unfair form of torture. I watched every second tick by on the clock. Of course, I had no idea that Master Yu was introducing us to a rudimentary form of meditation. It was my first real exposure to an ancient tradition that valued mastery over self before mastery over others. Our teacher was famously fierce and exacting. He was a former martial artist himself and was obsessed with groups like the Navy Seals and The Marathon Monks of Mount Hiei who seemed to transcend the ordinary through near super-human feats of physical exertion. I was never a real martial artist, but through my contemplative training, I came to understand the power of meditation to sharpen my mind and spirit. Remaining serene and still as you endure the slings and arrows of your own mind is no small feat. Until we start a discipline like daily meditation, most of us just aren’t aware that our thoughts are like wild stallions galloping over the plains of our minds. In the beginning, most of us are thoroughly outmatched. It takes time, practice, and a lot bruises to harness those wild horses. In this light, I was excited to meet a modern-day warrior like Danny O’Connor. 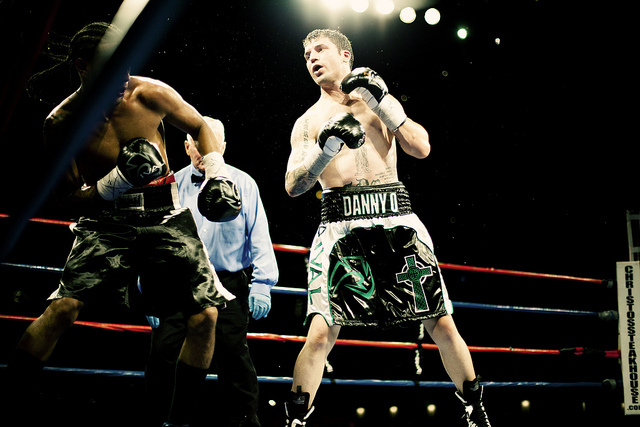 In 2008, Danny won the national golden gloves championship and represented his country in the 2008 Olympics as an alternate on the United States boxing team. 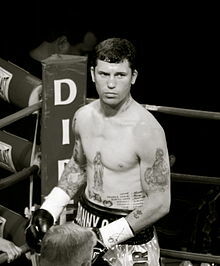 His current boxing record is 26 wins and 3 losses. When Danny is formally training for a fight, he often meditates for upwards of four hours each day. When he first started meditating, he saw immediate changes through his practice as his awareness sharpened, and he grew calmer and more focused in and out of the ring. But perhaps even more significantly, Danny developed a lens of compassion for himself and his opponent. This is most visible in his changing relationship to the goal of his training and boxing in general. Winning and losing is no longer the main event. After Danny’s first professional loss, he entered into a deep depression. This was before he started a regular meditation practice. These days, his perspective on winning and losing has changed completely. He recognizes both as part of a larger process. Losing is as powerful an opportunity to grow and move forward as winning. And beyond that, Danny says that focusing on this larger process deepens his compassion for both himself and his opponent. He credits the self-knowledge he’s gained from meditation for this change. Hi Margarita! I’m so happy you liked this episode with Danny. I also found his story very uplifting and so full of heart. I’m not surprised you resonated with it and I’m glad it helped during a sad patch. Big hug to you!